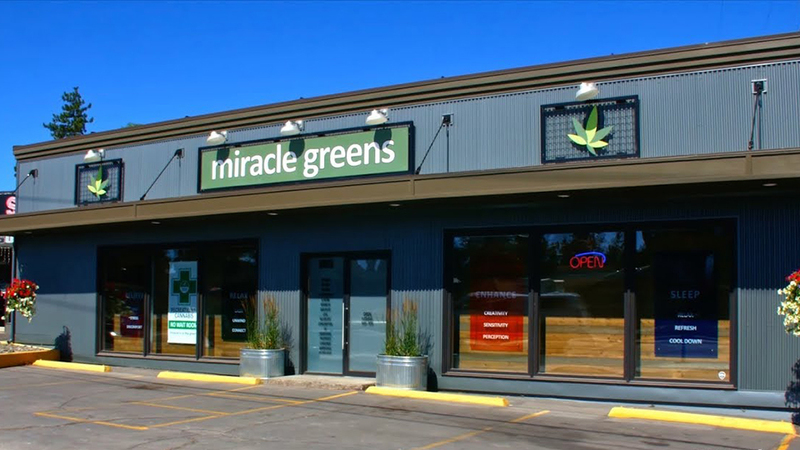 Miracle Greens Dispensary is a recreational marijuana dispensary with one of the largest selections of cannabis products in the industry. Miracle Greens is working on growing its own flower in their 3,600-square-foot Ceres greenhouse located on the Hayes family farm, following through on the business plan to open the retail operation first, so the farm will always have a place to sell its own cannabis. Influenced by his experience as a barkeeper, owner Mike Hayes believes it’s important to give customers a wide variety of options and never expects his internal brand to supersede established favorites. Miracle Greens occupies a newly remodeled, 2,500-square-foot building on Century Drive and has created an open and welcoming atmosphere. Rather than a waiting room, Miracle Greens greets its visitors with a comfy informational lounge. Mike says customers are the reason they started in the first place. Budtenders are more than cashiers; they’re cannabis guides. “We take great pride in helping our customers find exactly what they need, while giving them enough knowledge to make educated purchases”.